Please take a moment to meet our professional team. we strive to maintain the highest levels of accreditation and pursue ongoing education to stay abreast of the latest trends in dentistry. 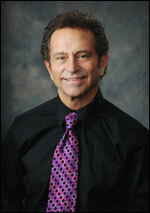 Dr. Stoller provides quality dental care to patients in the South Bend area. "Our top priority is patient care and comfort," said the Indiana native. "We want to help every patient achieve excellent oral health and a beautiful smile." After receiving his Doctor of Dental Surgery Degree from Indiana University School of Dentistry, Dr. Stoller opened his practice on the south side of South Bend. "This is a place that has always felt like home to me," he said. Dr. Stoller is a former president of the St. Joseph County Dental Society and an active member of the American Dental Association, Indiana Dental Association, North Central Dental Society and the Chicago Dental Society. He has taken numerous hours of continuing education courses focusing on TMJ/TMD (jaw joint disorder), orthodontics, cosmetic dentistry and many other areas of dentistry. In his spare time, Dr. Stoller enjoys oupoor activities: including biking, snow skiing, waterskiing, landscaping and riding his motorcycle. Tish has been a dental hygienist for Dr. Stoller since 1990. She graduated from Indiana University South Bend with an Associates of Science Degree in Dental Hygiene in 1985. While at IUSB she earned the Ester M. Wilkins Award for Clinical Excellence. Linda graduated from Indiana University South Bend with an Associates degree in Dental Hygiene, a Bachelor's degree in Health Occupations Education form Indiana University Purdue University Indianapolis and a Masters in Public Administration. 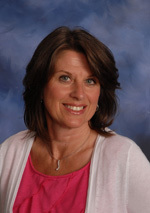 Linda has a wide range of experiences in clinical and educational settings including 25 years in a specialty periodontal practice as well as having been an Associate Faculty Member in Dental Education at Indiana University South Bend. "I joined Dr. Stoller's office in 1998 and I continue to strive to give my patients the highest quality dentistry possible and help in obtaining optimal dental wellness." Claudia started her dental career in 1989 when she began working in a dental lab in Kalamazoo making crowns and bridges. While working there, she acquired her accounting certificate from Glen Oaks Community College. After leaving the lab, she began working in a dental office as financial coordinator, then, office manager for over 10 years. She also worked in a Michigan Medicaid dental office so she understands the ins and outs of many different dental insurances. “My favorite claims are the problem claims. Working to get the most out of your dental insurance is a rewarding challenge I am up for.” If you have any questions regarding any aspect of dental finances, please call her. She can help. 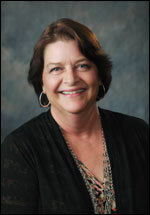 Kathy is one of the newest members of Dr. Stoller's office staff, starting with us in March of 2013. Kathy comes to us from another dental office where she worked in the front desk position. Kathy has been a Scheduling Coordinator for over 25 years, she has worked in both the dental and the service industries. "I really enjoy this position as Scheduling Coordinator. I am looking forward to talking with you on the phone, greeting you as you come into our office and working with you to schedule all of your appointment needs." Tina graduated from IUSB in 2003 as an expanded Dental Assistant. She has been working in the Michiana area for 10 years as a dental assistant, and became a new addition to our office in 2013. Tina takes pride in her work, and wants to make the patient’s experience the best possible. She will be pleased to meet you and make your dental experience very comfortable.